Exness is the broker I really like, because they offer very good trading conditions for professional traders as me. Some of their advantages are low spread and commission. When I first chose my broker, I created accounts in all top best forex brokers and checked their spread, quotes, payment system… daily. After some months, I found that Exness spread is very good. I will show you now. As usual, there are 3 types of accounts: Market maker, STP and ECN accounts, but for me, Market maker and STP are similar because they both get quotes from some specific banks or liquidity providers. So, I will sort them into 2 types are: regular account and ECN account. Exness also offers these accounts. 2 How much is Exness regular account’s spread? 3 How much commission does Exness charge for ECN account? Spread is the fee that brokers charge your order. Instead of charging commission, they add it to the quotes. Spread is the difference between Ask and Bid prices. Spread is the column after Ask column. And this number have to divide to 10 to get real spread. In this chart, EURUSD spread is 0.8 pip, USDJPY spread is 0.5 pip. This is the lowest spread for regular accounts. How much we pay for 1 pip spread? Fee = spread x contract size x lot x point size. Example: 1 lot EURUSD, 0.5 pip spread. Fee = 0.5 x 100,000 x 1 lot x 0.0001 = 5 USD. How much is Exness regular account’s spread? For regular accounts, there are 3 account types: Cent, Mini and Classic. The spreads are different among these accounts. For these 3 accounts, Exness only charges spread and doesn’t charge commission. Cent account is the account for beginners. You can just deposit 1$, open $0.00001 lot. As usual, brokers don’t get much money from Cent account because beginners don’t trade much. They deposit small amount and open low position value. But brokers have to serve them as other traders. So, Brokers tend to charge more spread for Cent account. But Exness is different. They only charges from 0.3 pip. This is very low spread. For Example, for EURUSD, They only charge around 1.1 pip. This Cent account spread is even lower than other brokers’ standard account. Mini account is the most popular account of Exness. Most of traders like Mini because of its advantages such as: low spread, unlimited leverage, more than 140 currency pairs, instant withdrawal… Mini account spread is lower than Cent account a little: around 1 pip for EURUSD. For 5 main currency pairs, their spreads are very competitive. They are just around 1 pip. You also can trade cryptocurrencies such as: Bitcoin, Litecoin, or ETH… in Mini account. Exness doesn’t charge commission for trading these cryptocurrencies. And spreads are the lowest in the market. They only charge around 5$ for Bitcoin, 1$ for ETH and less than 1$ for the rest. This is the best account in term of low spread. Because they only charge from 0.1 pip. If you trade instant execution, they only charge around 0.5 pip for EURUSD and 0.9 for market execution. This is the lowest spread in the market. You also can trade cryptocurrency. And there isn’t charge commission. Because this account is for big traders. So, in order to open this account, you have to deposit at least 2000$. How much commission does Exness charge for ECN account? You have to pay commission to trade ECN account in all brokers. Exness also charges commission for ECN, but Exness commission is the lowest. They only charge 2.5$ per lot. But be careful. Because I found that some other brokers also charge low commission but they also charge spread. As usual, for ECN, spread should be 0.0 pip. 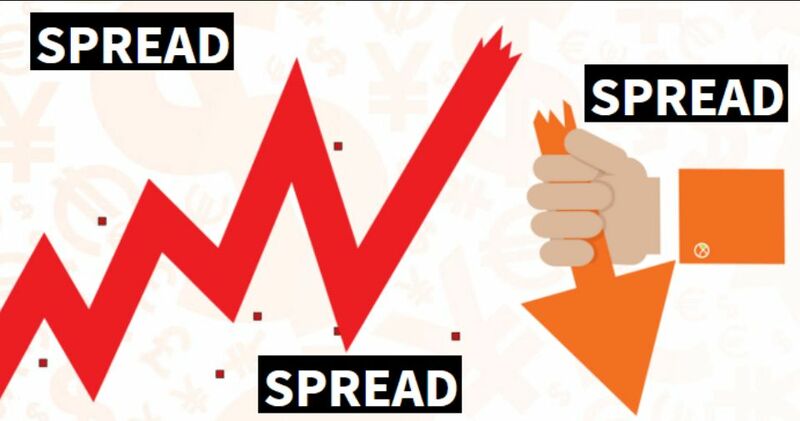 In perfect trading condition, spread is equal zero, but no broker can do that. Spread still exist, but it should be 0.0 pip. And Exness spread is very low. They are around 0.0 pip.